Beyond Katrina…. Crescent City Mardi Gras 2012… We need to celebrate those Wild Wild Indians…the spirit is alive! Loved that scene in HBO’s Treme when Big Chief Lambreaux appears out of the dark having returned, post Katrina, to the his devastated, old neighbourhood… and proving that spirit is allive and kicking is a pic (below), by my good friend Pam Esterson, that she posted from Mardi Gras a few hours ago… Meet the boys on the battle front…. This entry was posted in Deep stuff and tagged Big Chief Al Womble, Big Chief Lambreax, Cheyenne Hunters, Christopher Porché West Black Mardi Gras Indians, Crescent City, Katrina, Keeper Of THe Flame, Lower 9th Ward, Mardi Gras, New Orleans, Treme. Bookmark the permalink. 2 Responses to Beyond Katrina…. 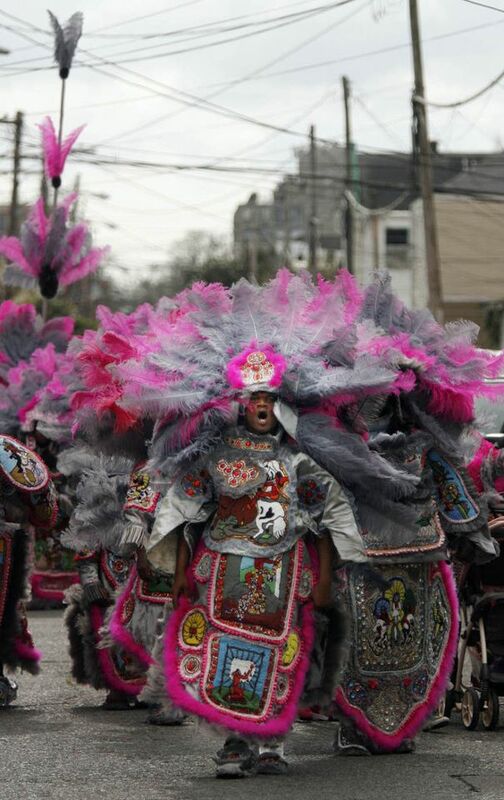 Crescent City Mardi Gras 2012… We need to celebrate those Wild Wild Indians…the spirit is alive! to celebrate those Wild Wild Indians�the spirit is alive!